Back in July readers may remember the recycling bins being removed from the 'island' where Central Road does a dogleg and becomes Cheam Common Road. This was followed around six month later (about a month ago) by the public recycling bins being removed from Stone Place next to the library. For a council that years ago used to tell us how great they were at recycling (although apparently not in reality), this left many people scratching their heads as to why they would do this. Now this isn't just me having a pop at the council (although the evidence below does rather speak for itself). They did have their reasons however I still find myself wondering if this was the best decision. 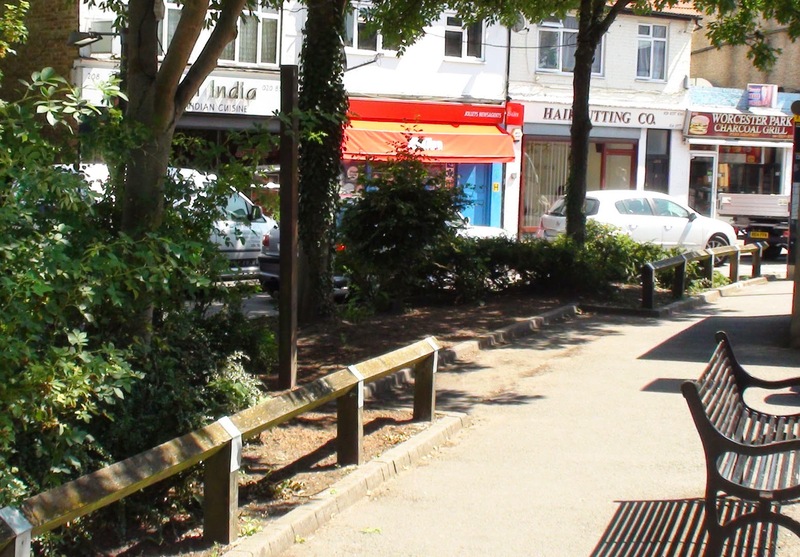 On the positive side the 'island' at the top of the high street does look much nicer without the bins there and stone place has an extra 3 (or is it 4) parking spaces which is all good for the local area. However the obvious negative is that there is now less opportunity for people who want to recycle to actually do so. Stone Place is a much more popular recycling site. At the Central Road facility the majority of people questioned want to keep the book and textiles bank but didn't feel the other facilities were really necessary. 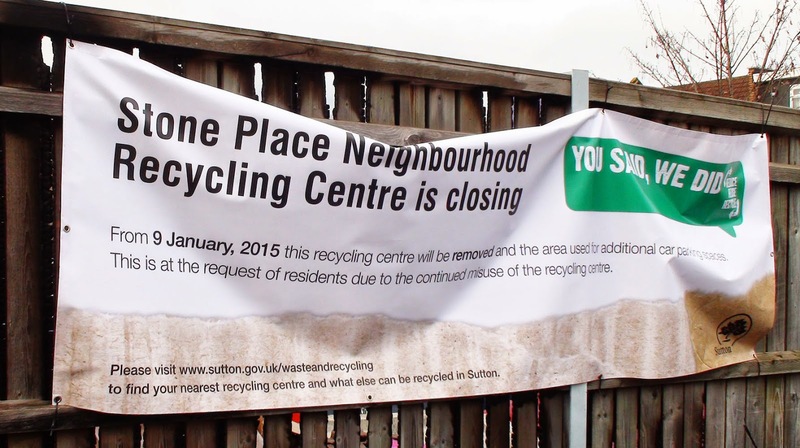 People wanted the recycling at Stone Place to stay as it was. Fly tipping and overflowing bins is a problem. The council receive one complaint a month about the state of the Stone Place site. 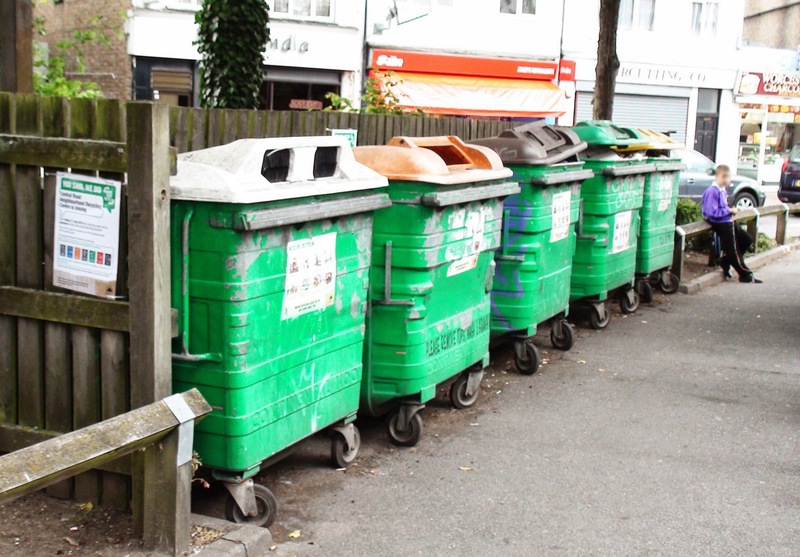 Bins are quite often contaminated meaning the material inside can't be recycled. Many flats don't have any recycling facilities and many others don't have adequate recycling facilities - Graham Jarvis. They're overflowing means there's a demand for them - Cllr Eric Allen. The proposed recycling bags for flats without proper facilities aren't very good for large items like cardboard boxes. - Cllr Stuart Gordon Bullock. Cllr Roger Roberts tried to raise a similar point but was cut off by the chair (Kirsty Jerome). You can hear all of this for yourself in the 15 minute report and debate here. (For those interested you can hear recordings of all these meetings here.) It was decided at this meeting to put the decision on hold. Bins are often contaminated so can't be sent for recycling. The council receive one complaint per month about the state of the bins. Most residents only used them occasionally. Residents now have a comprehensive kerbside recycling service - both in homes and in flats (see above two points). Council should retain books and textiles recycling but find a different location for them, and remove the other recycling facilities. There was no debate or discussion allowed after hearing the report (which was eerily similar to the report back in January). The committee then voted unanimously to accept the recommendations and remove the recycling facilities from Stone Place. This time there were no Tory flies in the Lib Dem ointment to raise a challenge as since last year's election there are no Conservative councillors in Worcester Park to ask difficult or embarrassing questions. Anyone in the audience who may have had an alternative view (like some did back in January) were given no opportunity to voice such concerns either. You can hear all of this for yourself here. The council then invested quite a bit of money in public notices telling the local community that they had done what the community had asked, using the slogan "You Said - We did"). This large banner can't have been cheap. 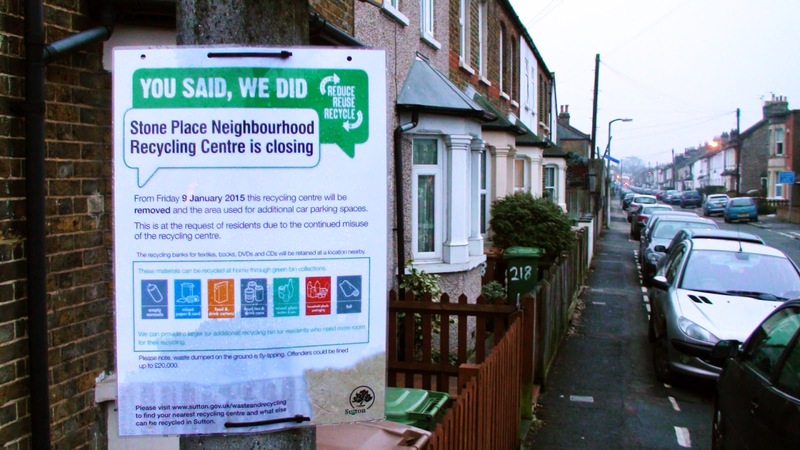 These notices appeared all over Worcester Park. This one on a lamp post was at the other end of Longfellow Road. "This does differ from what residents as a whole said they wanted." You can hear it yourself in the January 2014 CNWP meeting (at 6:01) referred to above (find it also here). Now just because the council may have spent a lot of money misrepresenting what was actually reported in order to make themselves look good, doesn't necessarily mean that the final outcome is bad for the community. 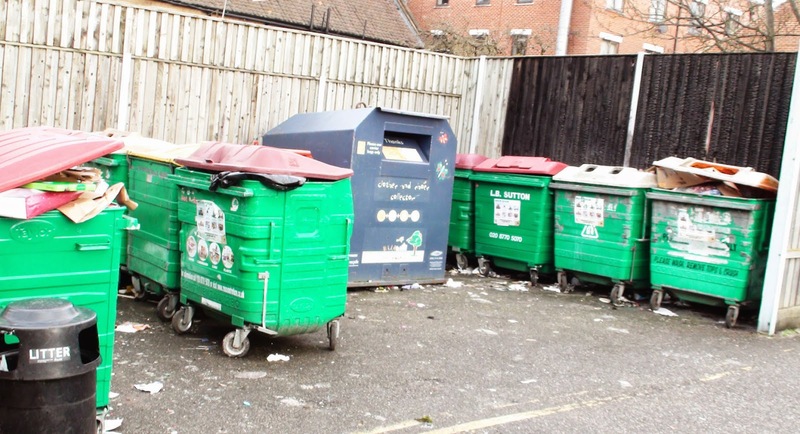 I would like to ask readers what their thoughts are on the now missing recycling facilities. In particular if you live in a flat and used to use the facilities, are the reusable bags adequate for your recycling needs? 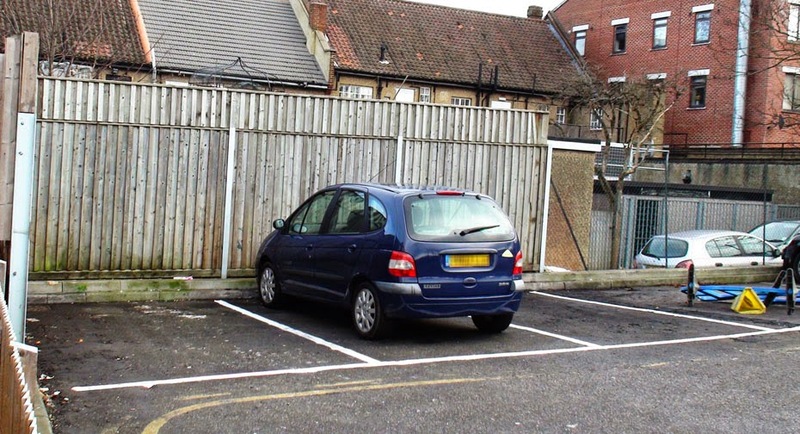 Are the extra car parking spaces in Stone Place a better use of the space than the recycling facilities? And has anyone actually seen where the book and textile recycling facilities have got to which were only supposed to be moved to somewhere else?